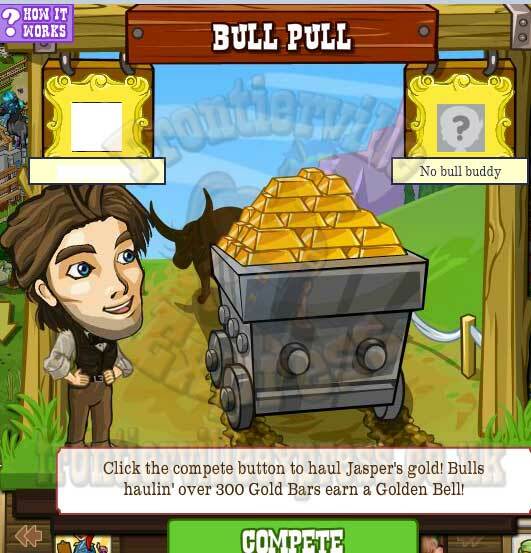 Brother Jasper has drained Prospect Falls dry, but now comes something of a new problem... That's how to get all that precious gold back home. 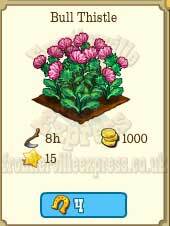 Yes folks, it's time to grow some pigs sheep bulls! 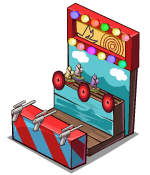 I think we'll all be familiar with the general setup now, the popup will start off a series of four missions and a wrapper mission (all details HERE) and start the building of the Fitness Fort, a three stage build (all building details HERE). 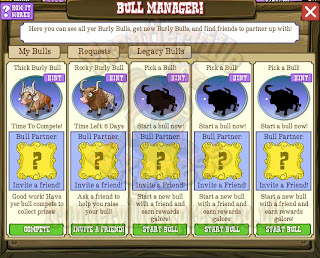 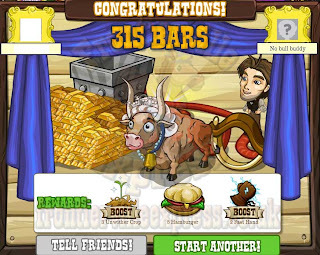 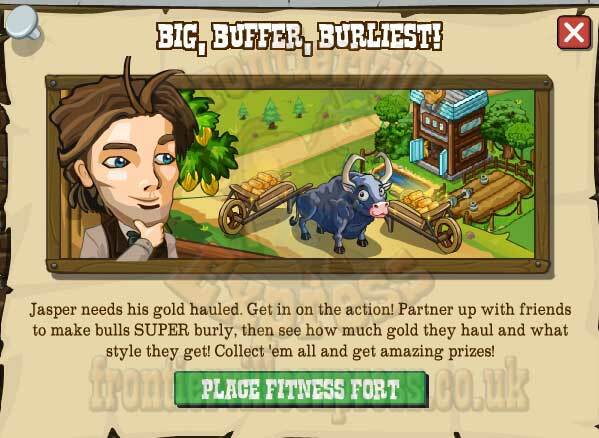 There's the standard range of Bulls to choose from, three coin purchases that unlock as you go through missions and three Horseshoe Bulls. They'll be fed by using Muscle Mix, made with 2 Thistle Fibers that will drop from a new crop, the Bull Thistle, and 3 Beef Cakes, a request item. 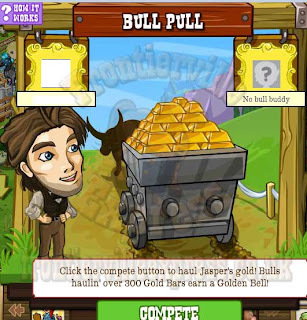 ...and final screen where we weigh the amount of gold each Burly Bull can drag in his cart, the more weight, the better the reward. 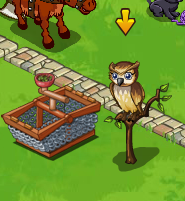 Oh, and good news, they're programmed from day one to store in the Pen! 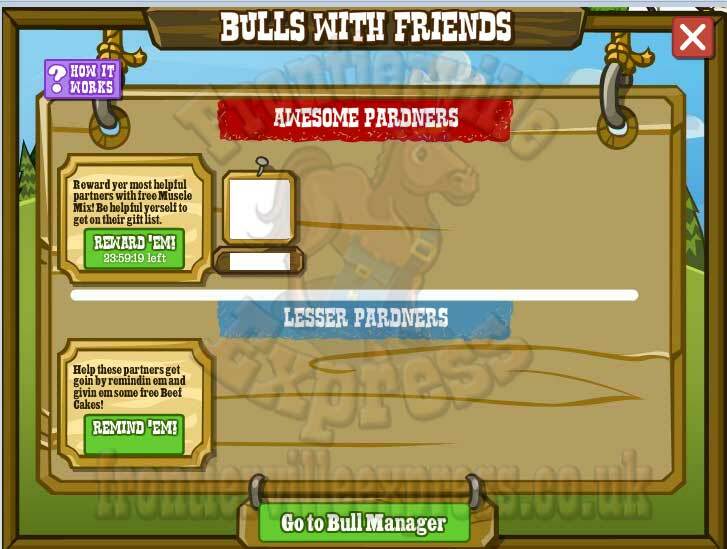 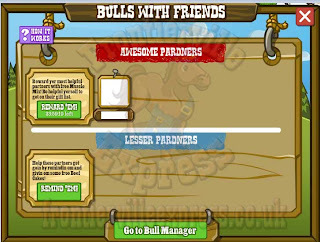 We will see one brand new feature though, Bulls With Friends! 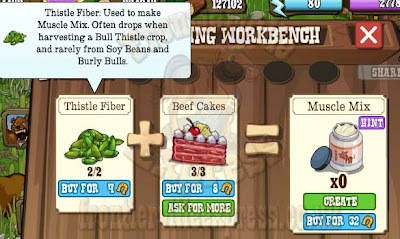 This will promote helping your neighbours because the game will let you reward helpful neighbours with a Muscle Mix, and Remind neighbours who've not been so good at feeding with a Beef Cake. 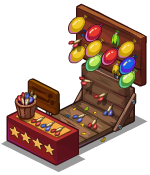 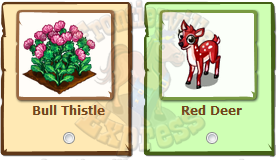 We'll see one brand new crop in the market and on free gifts that will be needed for the missions and a return of an old premium animal, the Red Deer as a Free Gift. 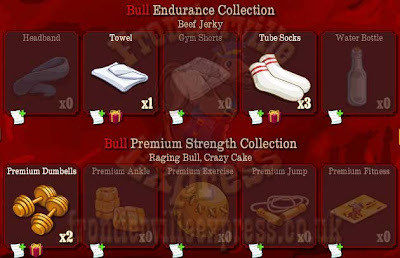 Finally the Collection generosity keeps on going with FOUR new collections, all with some pretty tasty (scuse the pun) rewards like Beef Jerky (+1 to max energy), a Crazy Cake and Ultimate Chilli! 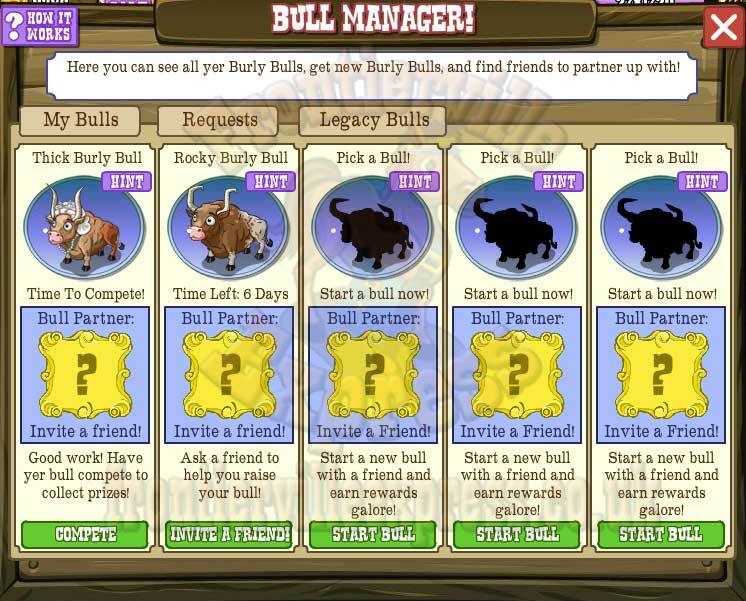 So, lets get together and bag us some bullocks! 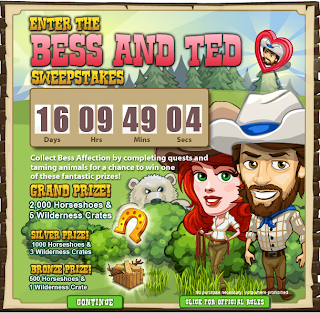 It's time to welcome Ted back to the homestead! 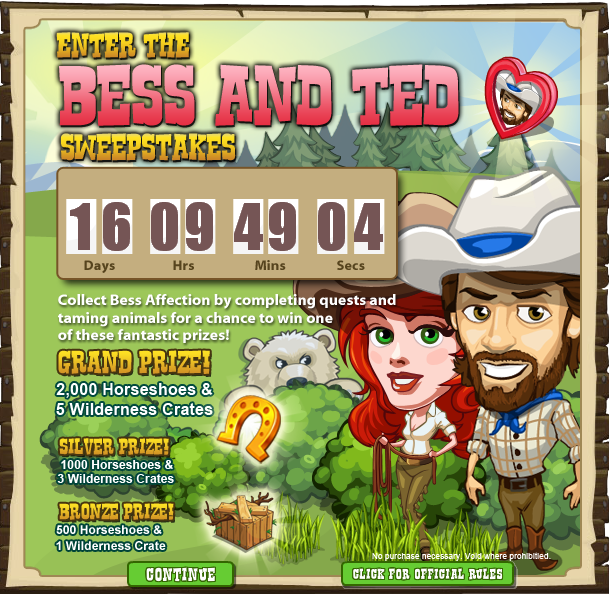 Bess and Ted need to get to know each other a little better and we're going to help them do that. 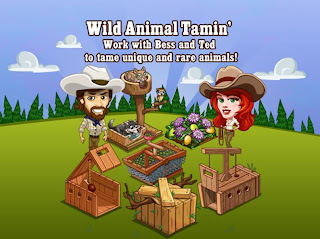 What better way to get to know each other than sharing your love of the wilderness?! 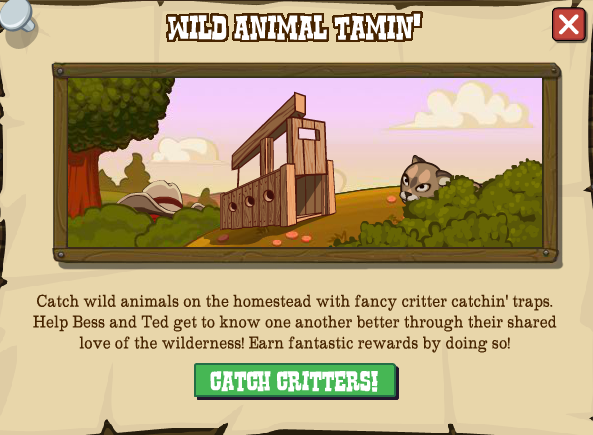 That's right, we are going to help Bess & Ted out there in the wilderness by catching some wild animals in fancy critter catchin' nets! Once caught we'll help to tame them, too! 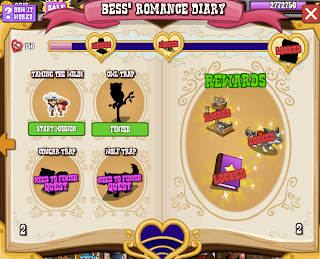 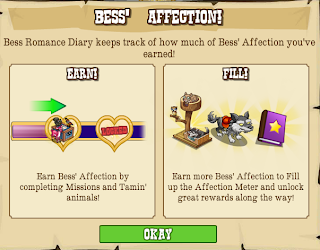 You will have a placeable decoration to keep track of how much Bess' Affection you've collected by peeking into Bess' Diary. 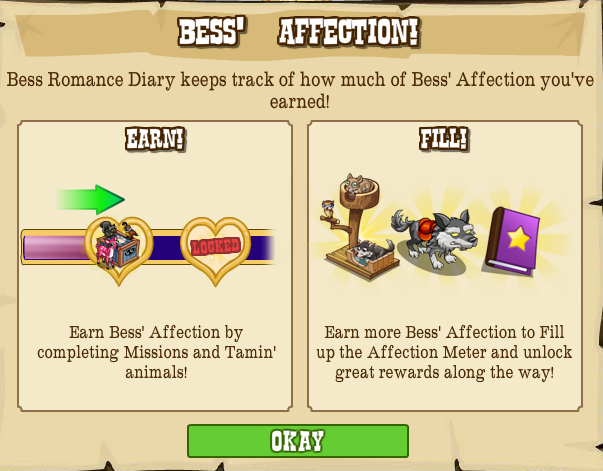 As the affection meter rises to certain levels (500, 750, 1000) we will get extra rewards! 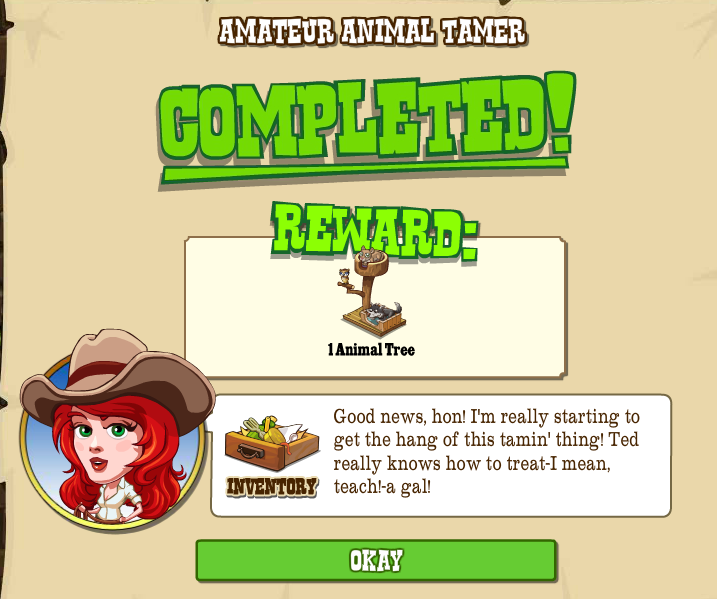 An animal tree, A Rideable Wolf, and a Book of Experience! 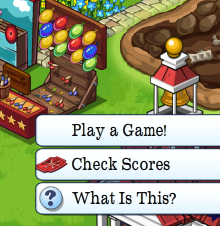 Also, finishing the wrapper missions by the 9th August 2012 will automatically enter you into the sweepstakes! 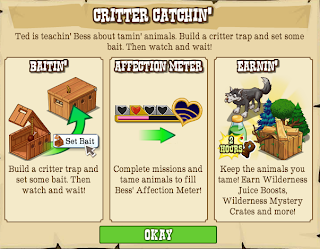 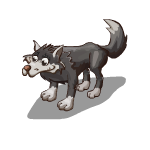 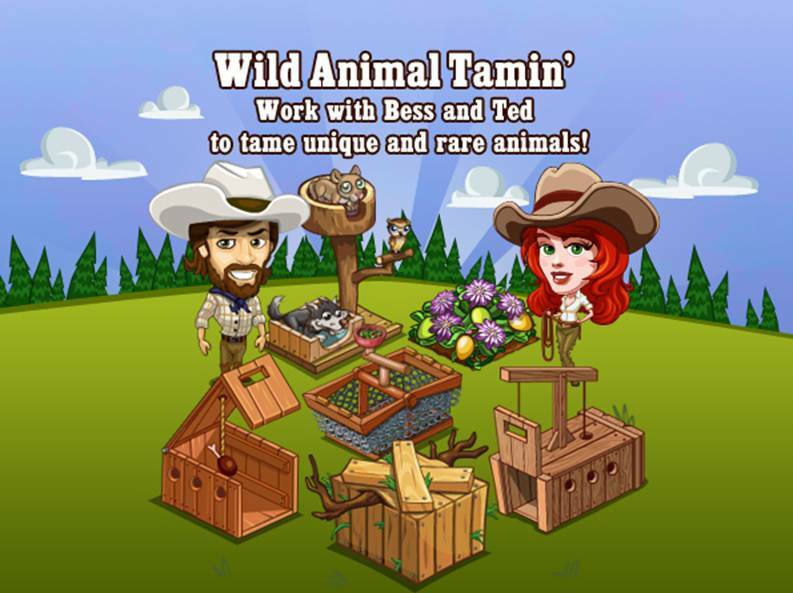 So it's time to work with Bess and Ted to help them catch and tame these wild critters! 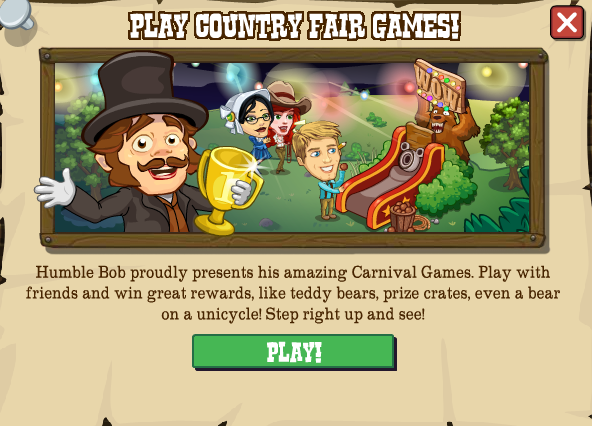 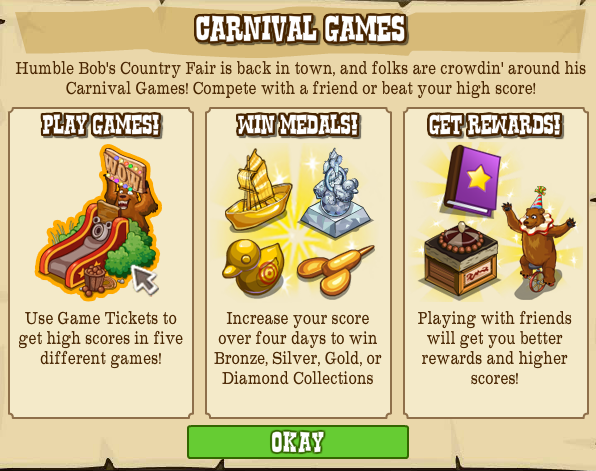 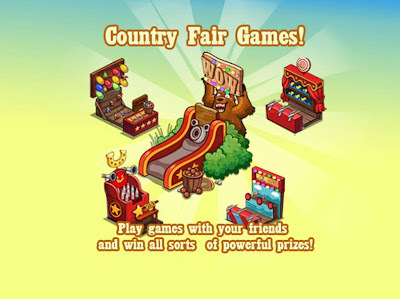 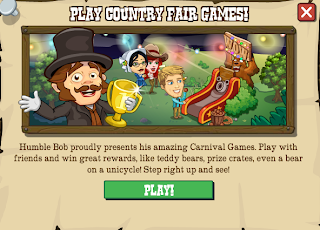 It's time to get down and get gaming with Humble Bob as he introduces you to the latest part of his big Country Fair, the games. 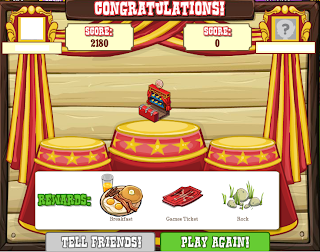 He wants you throwing, shooting and hooping with his Prize Tickets to walk away with the big prizes. This will kick off a series of missions and two wrapper missions, all details HERE. 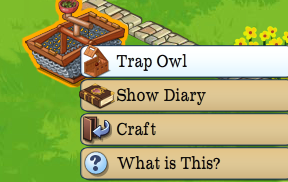 Yes, you read it right, NO buildable this time around. 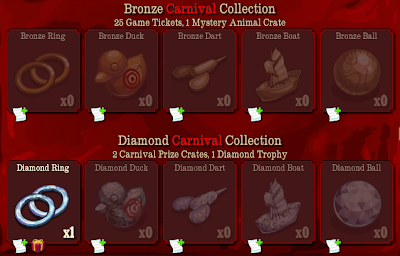 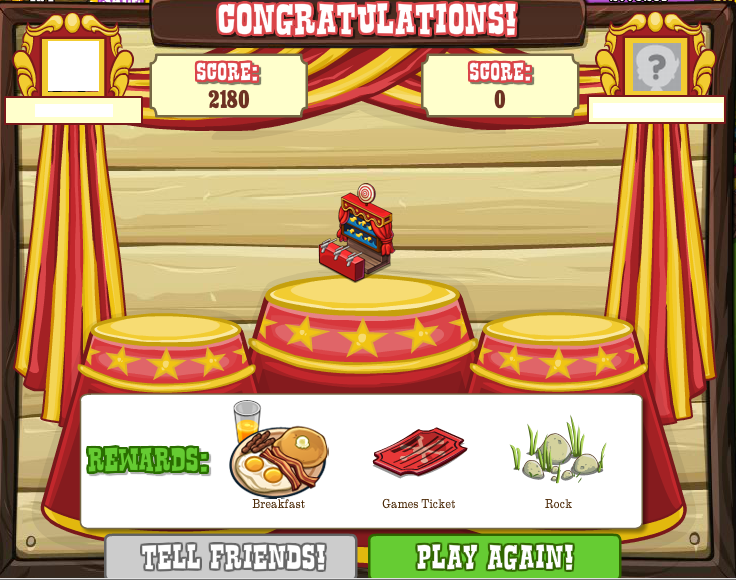 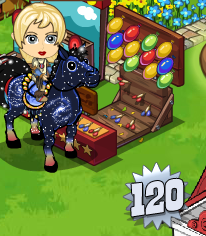 We'll then place Carnival games (all free) on our homestead, there's 5 types and more open as we complete the mission thread. 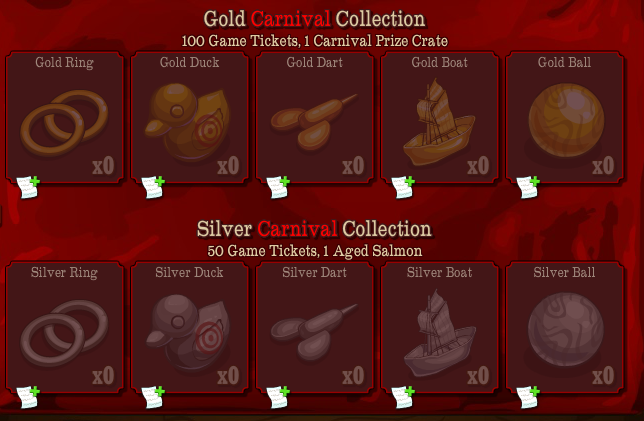 To "play" those games we feed them Prize Tickets, either got for completing missions or crafted, each one takes a single Paper Roll and Carnival Stamp, both request items. 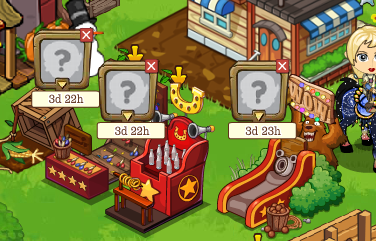 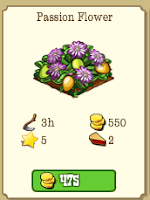 We also need to team up on the games with neighbours, and once started each game has a 4 day timer, for you to feed it as many prize tickets as you can. 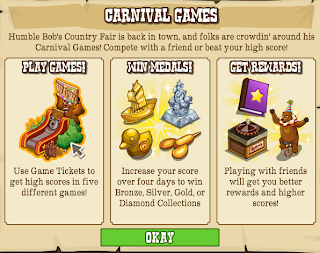 Once the 4 days are up your tickets will be counted and a score given, and, of course, a reward based on how high your score was. 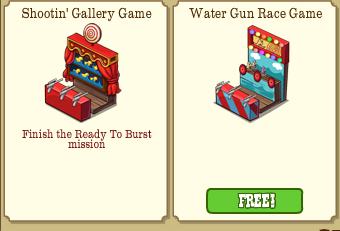 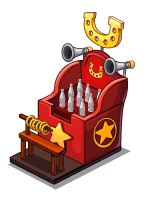 There's NO new item we have to gift or request, but there is four brand new collections, with Game related rewards. 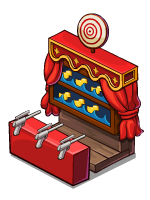 Yes folks, the day is finally here to be able to store those pesky porkers and wierd woolies... 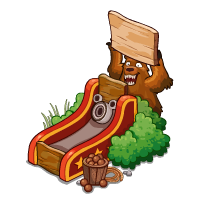 Animal storage for our prize animals has arrived! 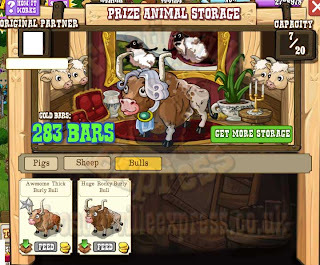 The Show Pen will store both sets of animals for you to show off to your neighbours and be upgradeable to store endless amounts of them. 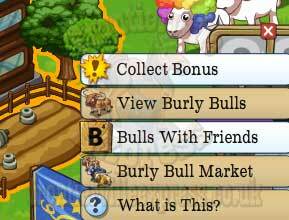 Once built up you can store a few of your Pigs and Sheep to begin with, then gain more space as you complete more builds. 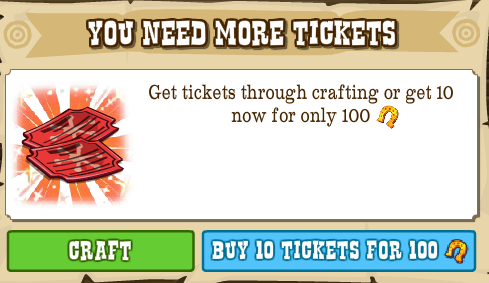 You can also upgrade as many times as you want when fully built to add 10 spaces each time. Once inside the Pen will show you all your pigs and sheep and allow you to click on them to get a full guide on how heavy they were, who the partner was and what it looks like. 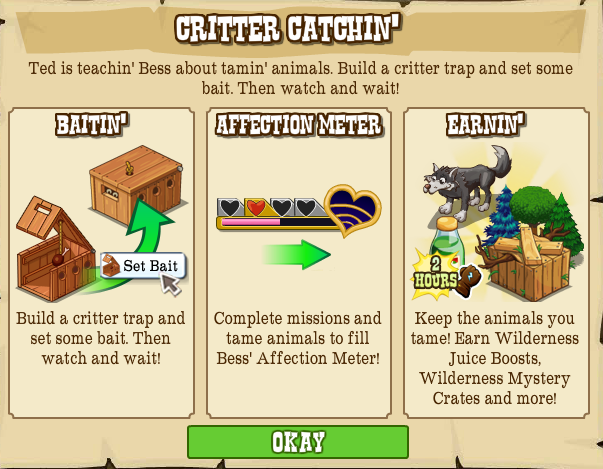 You can also remove them and place them back on your homestead. 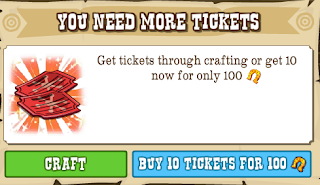 So get building and best of all, get storing! 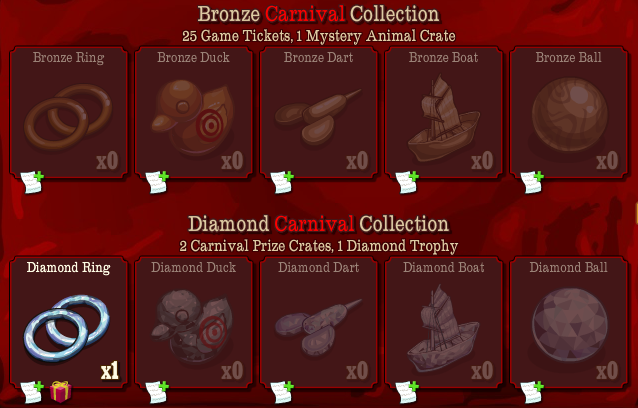 Are you Shearin' That Sheep?